The Denver Post issued an article today, Young Pioneers Seek to elevate basketball programs, covering the outlook for men's and women's basketball during the Summit League media day teleconference. 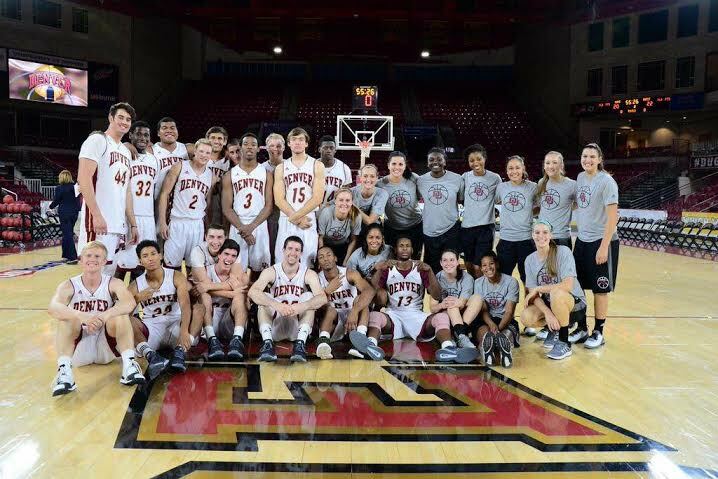 We have provided the link below to the Denver Post article and interviews with Coach Joe Scott and women's Coach Kerry Cremeans. According to Coach Scott, the Pioneers are "young, young, young" and will need to grow up quickly. That being said, he is pleased with the incoming talent discussed in the Post article. LGDU will providing our exclusive outlook on the season in several weeks. The season begins for the men on November 13 at the Cable Car Classic in San Francisco. The women start on the same day in Denver against Northern Colorado. DU will take some lumps this year due to youth, but I am hearing the Scott is planning to play his freshmen a lot, so they will hopefully be solid by the late season. That could set them up for a late run, or at the very least, make next years team far better. The danger this year is attaching high expectations for a very young team. As fo Kerry's women, again - youth is big on this team and expectations are low. Just learn to grind it out.